Today I finished up my last round of storytimes for the year, with a Christmas theme (keep in mind these are outreach storytimes and the theme was requested). It was a lot of fun, with several humorous stories, a great flannel board, and singing Christmas songs, which we all know are SOOOO much better when accompanied by bells! That's Good! That's Bad! 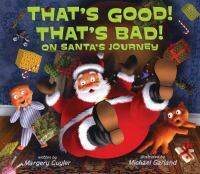 On Santa's Journey by Margery Cuyler & Michael Garland. I've used Cuyler's original book before in a series of Zoo-themed storytimes and thought this one would be fun, too. It works better with some groups than others, as not all kids get the humor and irony, but the ones that catch on to the pattern of things that seem to be one one turning out to be the other will really enjoy this book. Santa has a number of seeming misfortunes, like being stuck in the chimney, bumping his head, being left behind by the reindeer, falling out of the sleigh, splitting his pants, etc., but it all works out and he gets all the presents delivered. Are You Grumpy Santa? by Gregg and Evan Spiridellis is another funny book that has our poor Santa running into one mishap after another. Mrs. Claus' snoring wakes him up, he stubs his toe, no hot water in the shower, a skimpy breakfast, being chased by a poodle in France, slipping on a noodle in Italy, nearly run down by bulls in Pamplona, and bumping his tush into a Christmas cactus in Phoenix, Arizona! Poor Santa is upset and miserable, and then spies a card someone left for him, along with a plate of cookies. And now he's no longer grumpy! 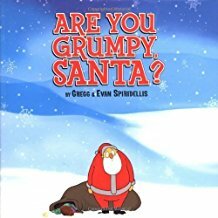 This story gives an explanation for why we leave cookies for Santa, and shows that anyone can have a bad day and get the grumpies, even Santa. I had the same Rudolph flannel I used last week, and we sang a lot of "Jingle Bells", with real bells of course, and a few rounds of "Frosty the Snowman" and "Rudolph the Red-Nosed Reindeer" during the two-week rotation. 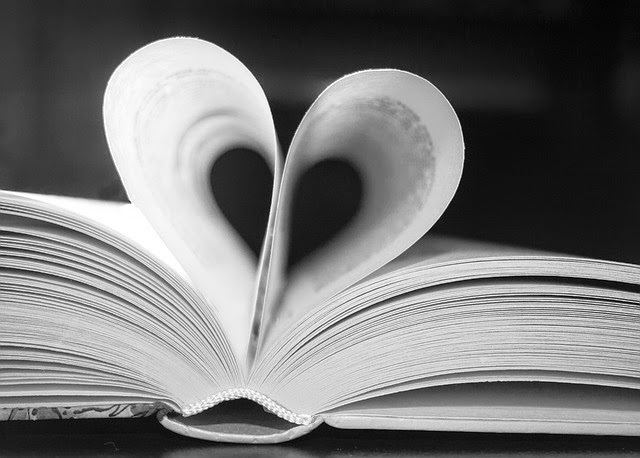 While I love doing storytime, I am looking forward to having a little break from it for a bit. I will be taking 3-weeks off from storytime over the holidays, for 3 reasons: (1) there are so many closings and low attendance it isn't worth it, (2) the kids just get too crazy as we get closer to Christmas, and (3) the Storytime Bus needs to have it's annual inspection and maintenance, and scheduled repairs. This gives me a chance to take time off for the holidays or a vacation, but this year I may take a day off, but will be at work most of the time. I'm looking forward to a break and having a chance to do something different. My major projects will be catching up on some much needed collection development, and working on a presentation I've been asked to give in January. I also might pick up an extra shift at the Children's desk or help with one of their programs, which is always a nice change of pace.